EdjeTech brings you high-performing paper bed filters that seamlessly integrate with a myriad of applications to remove contaminants from liquids. 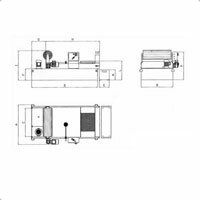 The paper bed filter range is compatible for use with liquids such as water-soluble fluids, detergent water, cutting oils, grinding fluids, and more! Using these filters means that you no longer have to waste time on changing bag filters. EdjeTech’s paper bed filters are unique in that they automatically advance the filter paper as the contaminants build up. As the paper gradually advances, allowing the fluid to strain through, the conveyor stops advancing. This system is more convenient as compared with the time and cost associated with shutting down a system, struggling to open a vessel, pulling out a dirty, water filled bag that drips all over the floor! 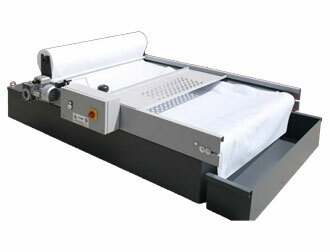 The paper bed filter can be used with either metallic or non-metallic polluting particles. EdjeTech Services will help you choose the right type of filter cloth depending on the desired degree of filtration and the type of fluid you wish to filter. If your process involves corrosive liquids or pure water or food and beverage processing, purifiers can be produced in high-quality stainless steel. The EB Series is a conveyor type paper bed filter which means that when the fluid level raises the float, the limit switch energizes the motor to advance the conveyor which the paper rests on. The spent paper then collects in the swarf box at the front of the unit. The EVO Series is different from the EB Series in that the roll media is pulled over the filter bed and rolled up at the front of the unit. The EVO has a slanted filter bed also, that allows for more hydraulic pressure to build and create a deeper dirt layer. The unique design of the slant bed also allows for a fast flow rate in a smaller space for customer convenience. We encourage you to discuss your filtration needs with EdjeTech Services and see how we can add value to your process. Find your flow rate and find your PBF Model.